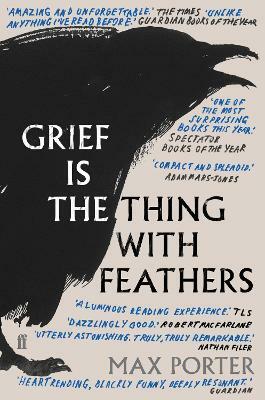 This beautiful small gem of a book packs a mighty punch: a father and his two sons struggle to come to terms with the loss of their wife and mother until their despair is tempered by the arrival of the mysterious Crow. Told in spare, poetic language, it perfectly captures the sadness and madness and confusion of death and its grief-filled aftermath. But amid the darkness is also humour – and hope.